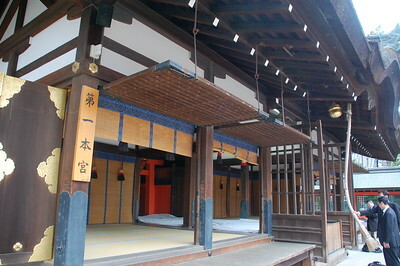 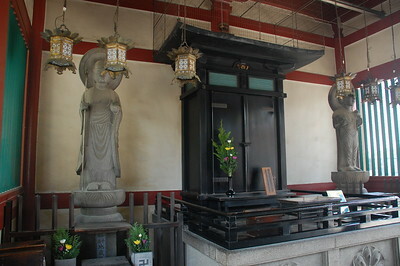 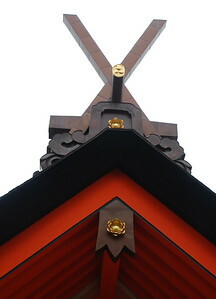 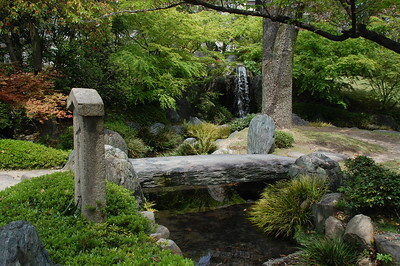 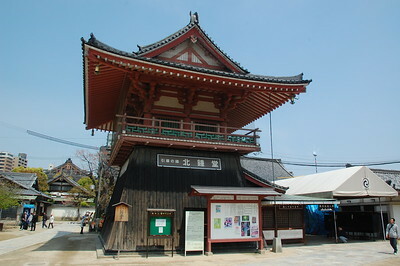 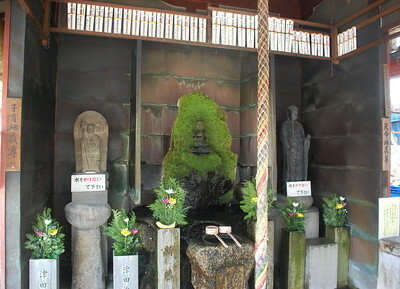 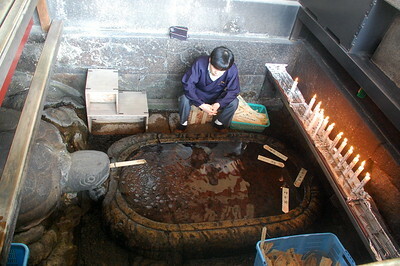 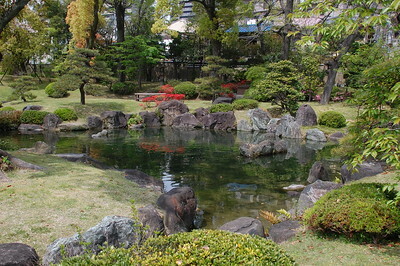 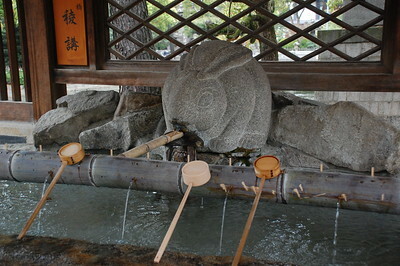 Shitennoji is the oldest state temple in Japan. 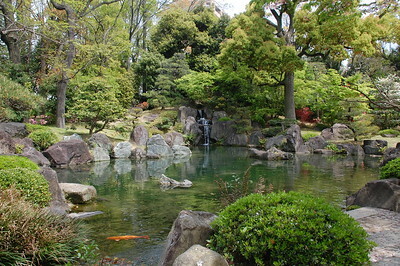 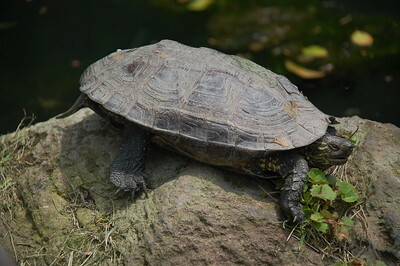 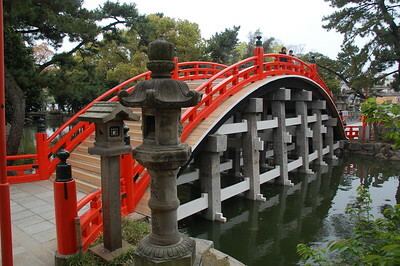 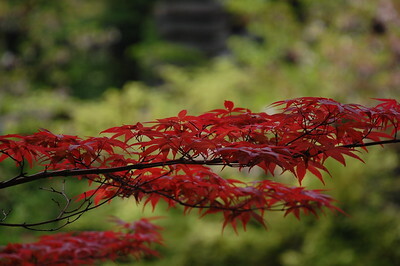 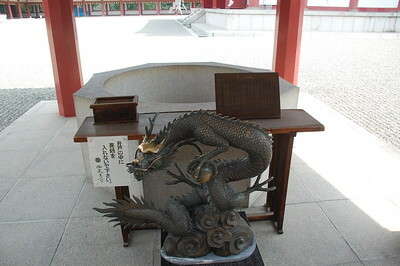 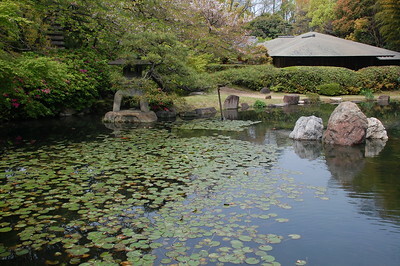 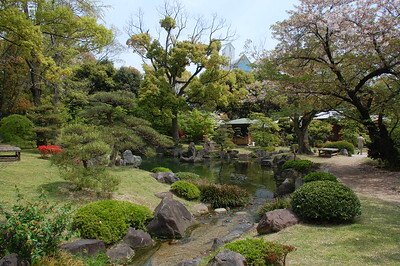 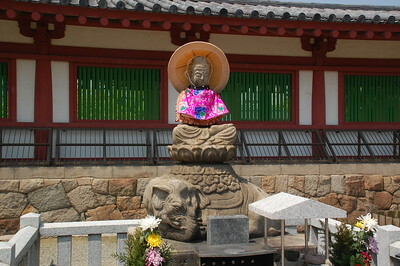 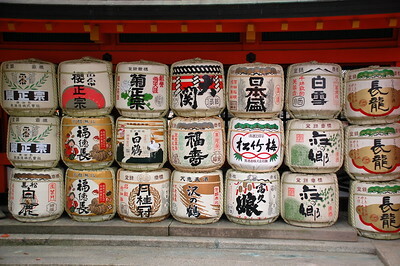 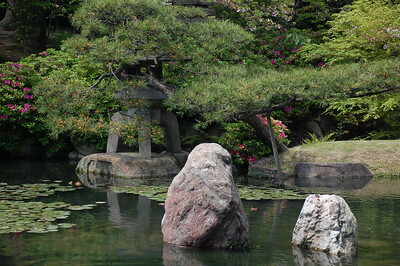 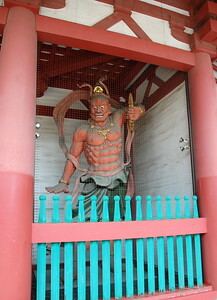 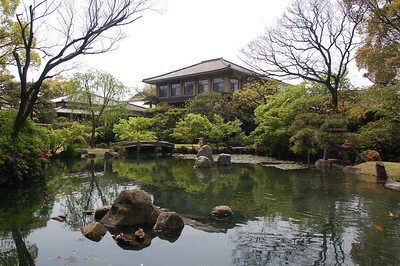 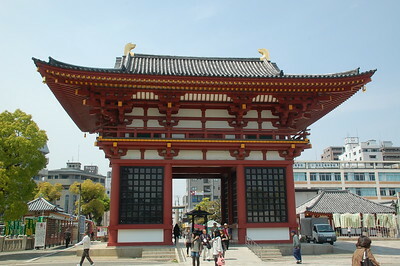 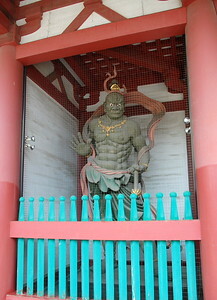 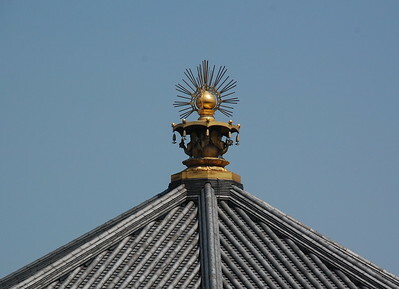 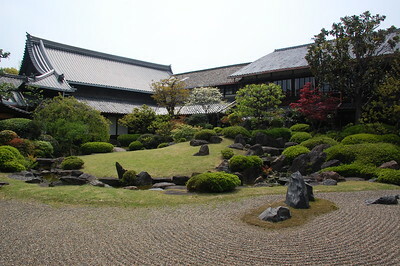 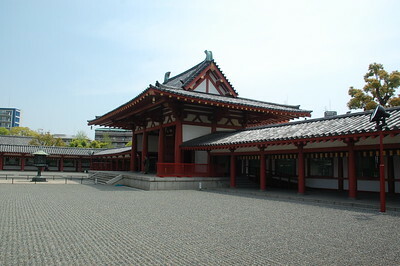 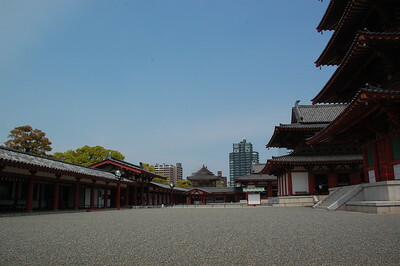 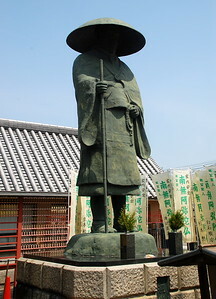 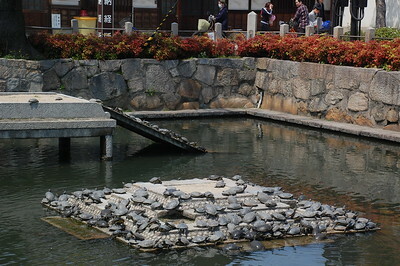 It was founded in 593 by Prince Shotoku, who supported the introduction of Buddhism to Japan. 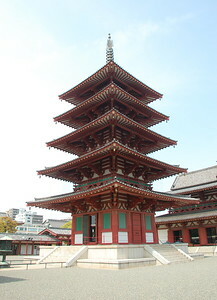 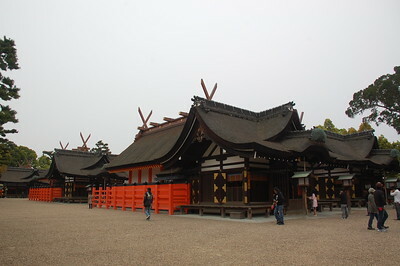 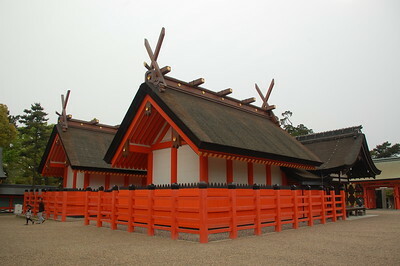 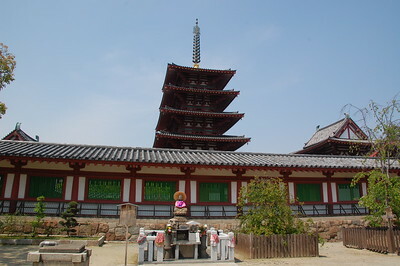 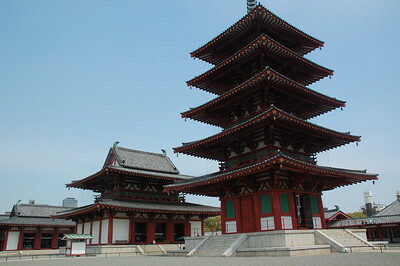 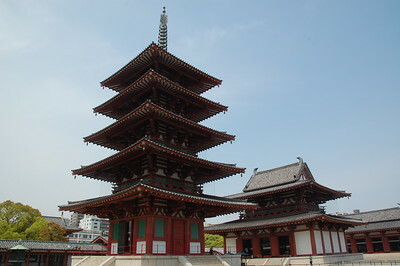 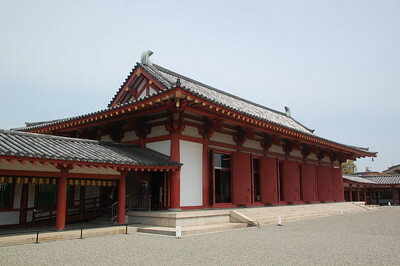 Although the temple's buildings burned down several times throughout the centuries, they were always carefully reconstructed to reflect the original 6th century design. 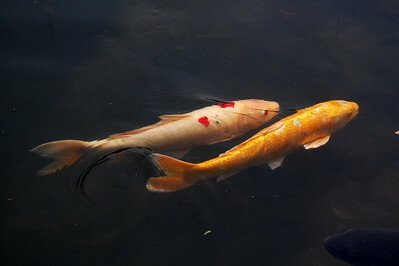 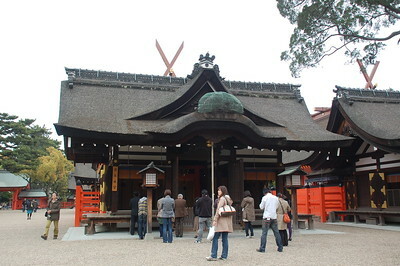 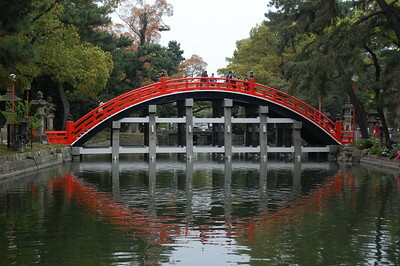 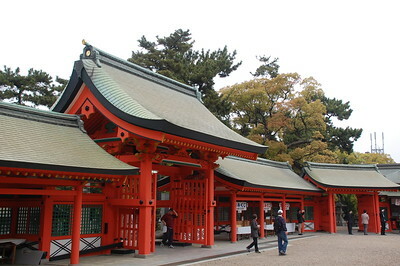 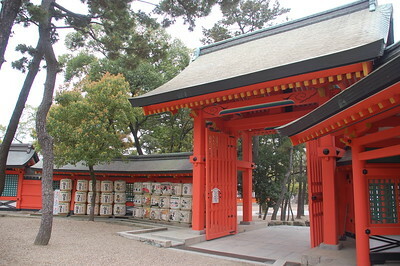 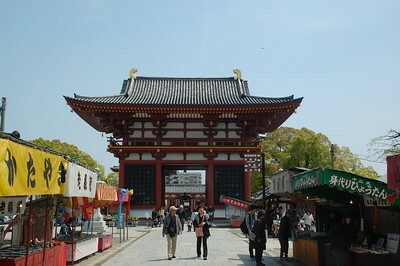 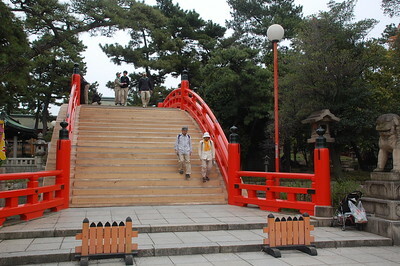 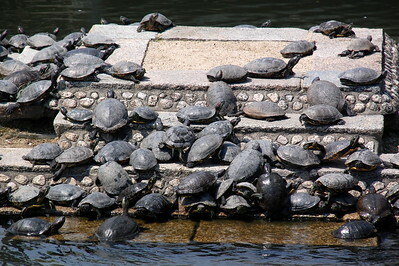 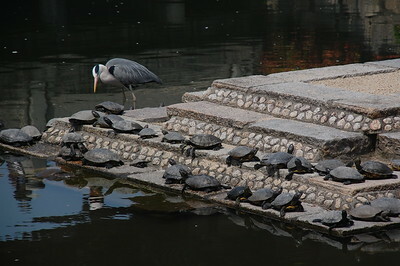 ------------ Sumiyoshi Taisha is one of Japan's oldest shrines. 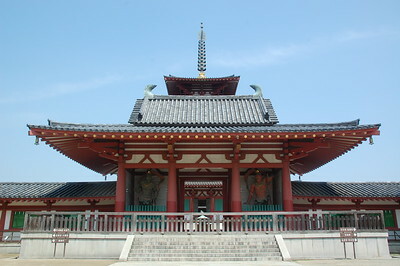 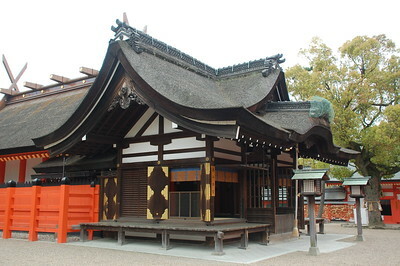 Founded in the 3rd century, before the influx of Buddhist architecture from the Asian mainland started, Sumiyoshi Taisha is one of the few shrines displaying a purely Japanese shrine architecture.